Target audiences: a) Monument's Employees of Thessaloniki's Ephorates and also of other Ephorates. 1. 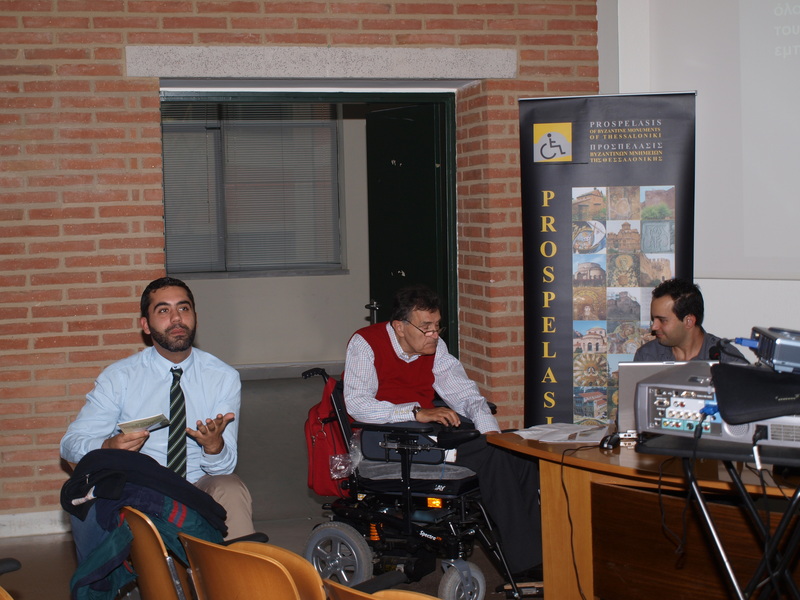 «The PROSPELASIS project and the accessible tourism. Basic concepts and international practices». 2. «Possibilities and obstacles concerning the relationship among people with mental inefficiency and the monuments of cultural heritage». 3. «Good practices in Greece, concerning the accessible cultural places». 4. «An evaluation of the Thessaloniki infrastructure for the development of accessible tourism». 5. «The tourist with mobility disability. Needs and personal experiences». 6. «The tourist with vision problems. Needs and personal experiences». 7. «The tourist with hearing problems. Needs and personal experiences».